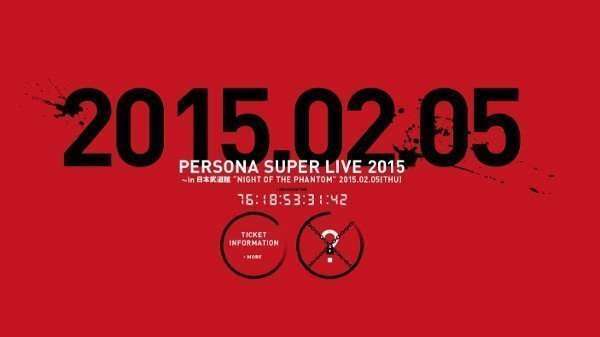 Atlus announced their newest concert, “Persona Super Live 2015 ~ in Budokan: Night of the Phantom”, and opened a teaser website for it on November 20, 2014. It featured a countdown until the indicated date of February 5, 2015. Key art for the concert was added via an update to the website on December 12th. A live stream lasting over 30 hours, named “News Flash! 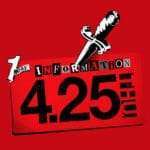 Persona Channel 2015” was announced 2 months later for February 4th. Set before and at the same time as the concert, it would feature a variety of events. 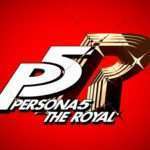 The signature theme song preceded the P4D announcement, and a tease in a Japanese newspaper preceded the P5 announcement, along with key art shown at the concert before the reveal. 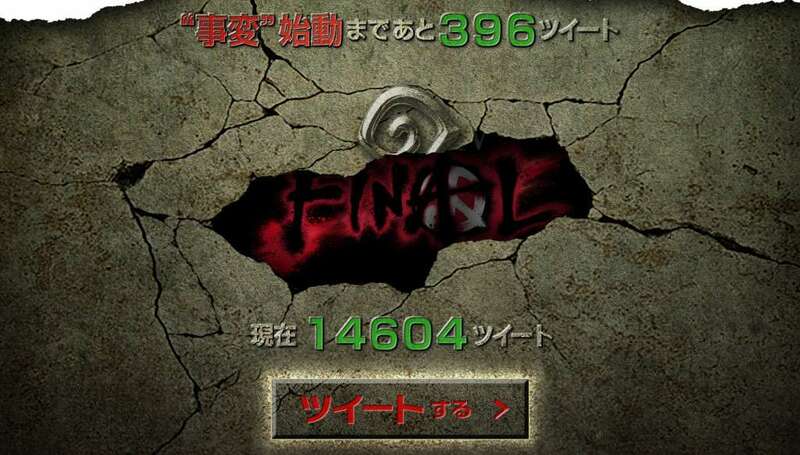 A teaser website called “atlus-vanillaware.jp” for an HD project was launched on July 17, 2015. 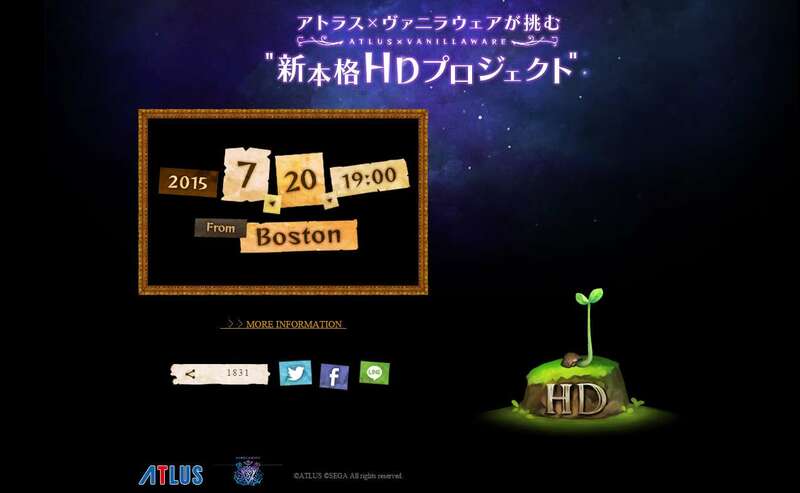 It featured a small plant which would grow when clicked on, and the words “From Boston”, along with the link to a Niconico live stream which would take place on July 20th. 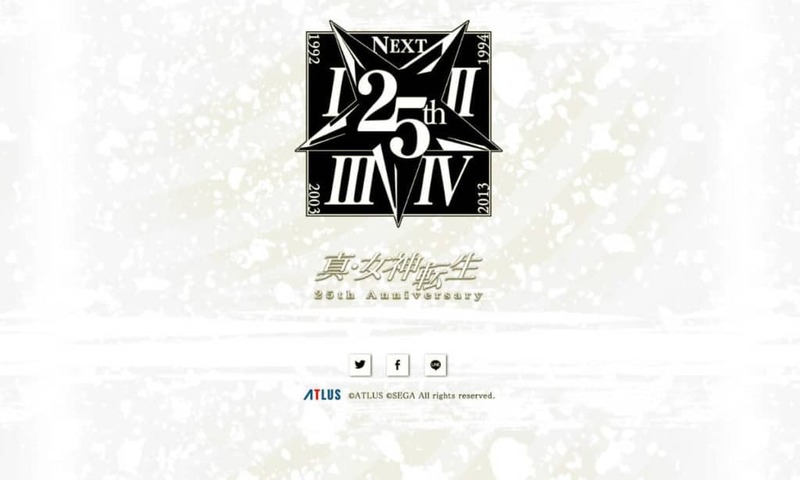 Along with the upcoming release of “Shin Megami Tensei IV Atlus Best Collection,” Atlus updated the official website for SMT IV (“megaten4.jp”) on October 4, 2015 with an emblem embedded in a layer of cracked stone. The website indicated that a certain “incident” would occur once 15,000 tweets were achieved for the updated website. As the numbers increased, holes would start to appear in the background, revealing an image underneath. Less than 12 hours later, Atlus officially announced Shin Megami Tensei IV: Apocalypse, with the launch of the new website “megaten4f.jp”. 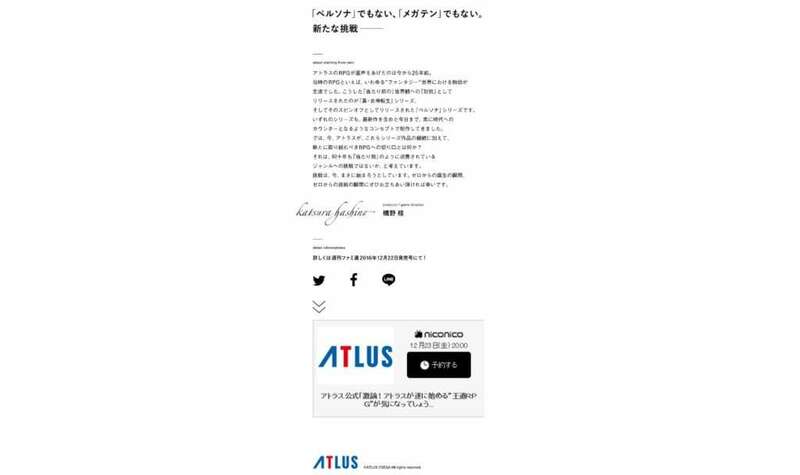 On December 19, 2016, Atlus opened a new website called “rpg.jp” announcing the formation of a new internal studio (Studio Zero) and that they would be working on a new IP fantasy RPG. 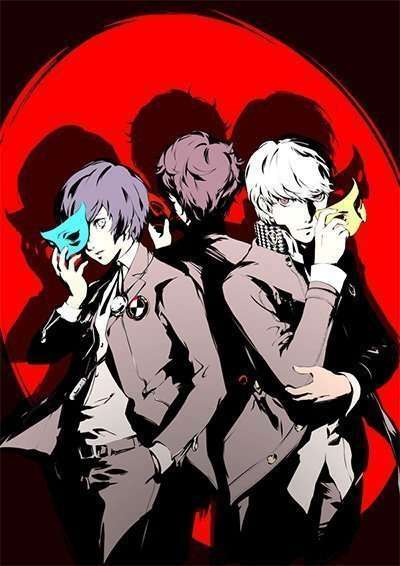 The teaser site indicated that Atlus would announce additional details through a live stream on December 23. Project Re Fantasy: A Fool’s Journey Begins was detailed through the aforementioned live stream on December 23rd, with concept art, a concept video, staff members, and an update to the teaser website encapsulating all of the new information. To celebrate the 25th anniversary of the Shin Megami Tensei series, Atlus opened “shin-megamitensei.jp” on January 10, 2017. 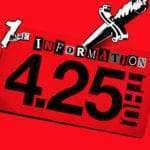 Additionally, the website teased that more than one new SMT project would be part of this website. 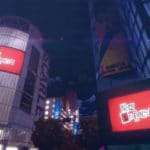 On January 12, 2017, the Nintendo Switch Presentation 2017 live event was held, revealing a new Shin Megami Tensei game (which would turn out to be Shin Megeami Tensei V later in the year). 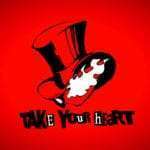 This 3DS game would be announced during the Atlus Announcement 2017 (Spring) live stream as Shin Megami Tensei: Strange Journey Redux, a Nintendo 3DS game to be released in Fall 2017.